Every business incurs expenses for day-to-day operations as well as beyond. Expenses must be divided into appropriate categories, to be able to create accurate benchmarks. Defining expense categories helps in analysing which all expenses are exceeding the set limits and control measure can be taken accordingly. All costs associated with producing goods are placed under this category. This includes cost of raw material, costs of employee services for service industry, stock and labor. Overheads related to manufacturing of goods or creation of services. Any expense associated with depreciation, indirect labor or transportation of goods is also included in the cost of goods sold. Costs that are incurred in the production of goods and services is included in the cost of goods sold. 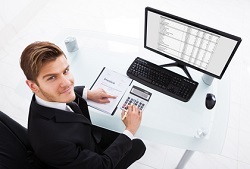 Other costs such as those related to sales or office expenses are not included in this category. Defining expenses associated with production is very important in defining the price of the product. The price of the product or service being sold should always be greater than the cost. The difference between the price and this cost is the gross selling margin for the business. The markup on this cost should also be high enough to cover the other cost categories, so that the overall profit remains at a reasonable level. The cost of goods sold must be analysed periodically. This should give an overview of each head under this category. Any variation in any of the cost heads must be observed carefully. If the cost of a certain input like raw material has gone up, then solutions must be sought to bring it back on track. New vendors could be asked to submit their quotes and negotiations must be done to bring down the costs. This expense category is a tax deductible business expense. Care should be taken, not to inflate expenses to reduce taxable income, artificially. All expenses that are incurred for the maintenance of infrastructure such as office space etc. are included in this category. Anything that is paid for, function on a day-to-day basis is included in this category as well. All taxes related to property, utility bills, salaries of sales staff, office repair, promotional expenditure etc. are included in operational costs. These expenses must be related to continual running of the business. These should not be related to asset creation of business. Operating expenses are analysed to understand the relation with the overall income. The business owner must make sure that operating expenses are constant if the income level is not rising. Keeping the operating expenses under control will help in overall profit growth and increase in retained earnings. Any expenses that are incurred despite the quantity of goods and services produced, are categorised as administrative expenses. These include salaries of administrative and accounting employees in the company. Wages of the top management and of any consultants hired by the company are also included in this category. Other expenses include depreciation, rent of the premises and insurance fees. Besides these, expenses related to office supplies, auditing and other utility bills also fall under this category. These expenses remain, even if the quantity of goods and services falls to zero.Companies tend to be conservative in provisioning for administrative expenses, as they do-not add any value to the business in terms of direct sales. Analysing these expenses on a periodical basis is essential to know if any of the expense heads are going beyond set benchmarks. Every business has to raise money for growth and expansion. The cost of financial transactions are treated as financial expenses. Any costs related to taking a loan or paying interest for the same is included in this category. If there a large number of financial transactions in a business, then such costs may become significant. The costs of raising funds should not exceed the expected benefits and results that these funds are going to achieve for the business. The most appropriate source of funds must be chosen by the CFO of the company, in order to keep these at a minimum. Any transactions that are not common in day-to day business must be treated under this category. Employee attrition and layoffs are a part of this category. These transactions do not happen on a recurring basis. Property sell off or other asset disposal costs are all included in this category. Selling a part of the business or a complete business unit also falls under this category. Such expenses are usually, what a business should not be worried about on a day-to -day basis. Veronika Tondon is business enthusiast. She writes about emerging technologies and opportunities for business. Veronika is working as a Marketing Manager with Invoicera, a powerful cloud invoicing solution.